I have always been a fan of public transport. I didn’t learn to drive until I was in my late twenties, and that was more out of necessity for work rather than any desire to actually do any driving. Unlike many people I didn’t equate the ability to drive with any form of freedom, after all you cant read books while driving and that is a serious impediment to my liberty! I suppose it also helps that I always lived in towns within easy walking distance of amenities, had I lived in a village in the middle of nowhere things may have been different. Certainly Paul has a completely different perspective. On our travels so far we haven’t used as much public transport as we expected, we’ve moved the motorhome to be close to the attractions we want to visit and the trailheads for walks and bike rides. It’s just part and parcel of the way we have travelled, moving every one or two days. It’s also a sign of how well the countries we have visited are set up for motorhomes, the parking areas seem to be in the right places. Now we’re in the UK we are finding ourselves spending more time in one place and a static Bertie means that we need to find a way to get out and about. 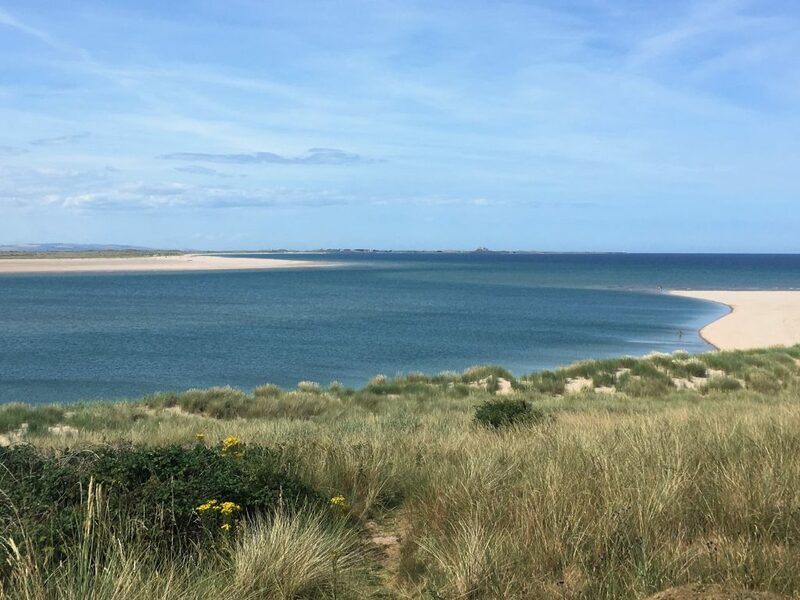 By this point we were in the Temporary Holiday Site at Annstead Farm near Beadnell. We took the plunge and moved from the campsite at £22 a night (without electric) to this THS at £8 a night. 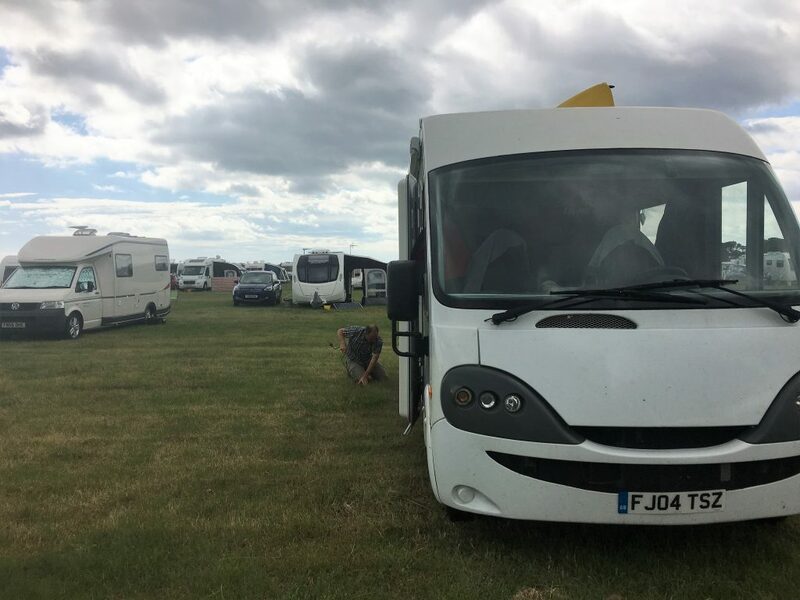 The THS was as busy as the campsite, but the wardens explained that they try not to turn anyone away; their overflow field and the ability to squeeze some of the generously sized pitches give them room to manoeuvre and still stay within the rules (minimum of 6m from the neighbouring unit). By the time we left on Friday we had been rearranged to provide a pitch for another motorhome between us and our neighbour. They started with over 100 spaces, who knows how many units were on site by the end. From here we were able to walk the coast path in either direction and make use of the excellent X18 bus that runs along the coast between Newcastle and Berwick-upon-Tweed. The bus comes with a bit of tourist commentary, and kept us entertained as it pointed out key sights along the route. 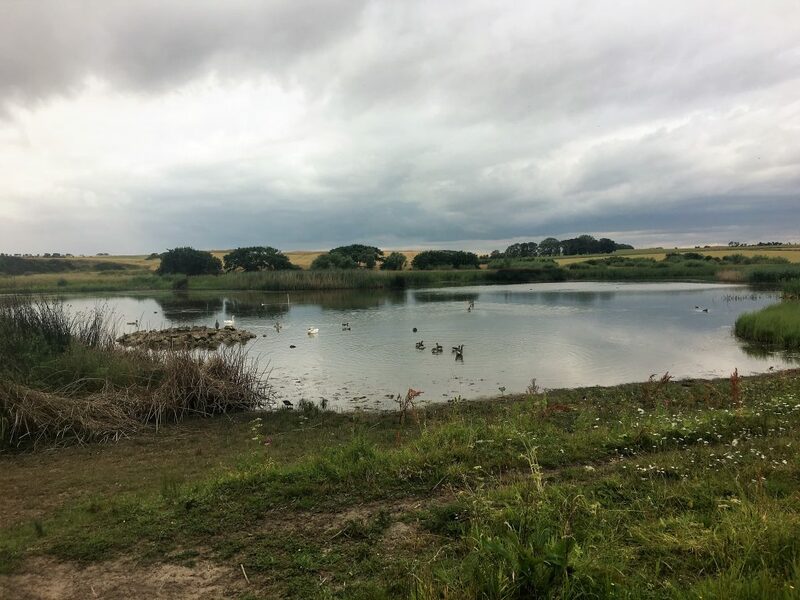 On our walks we visited Long Nanny, the location of a breeding colony of Little and Artic Terns. 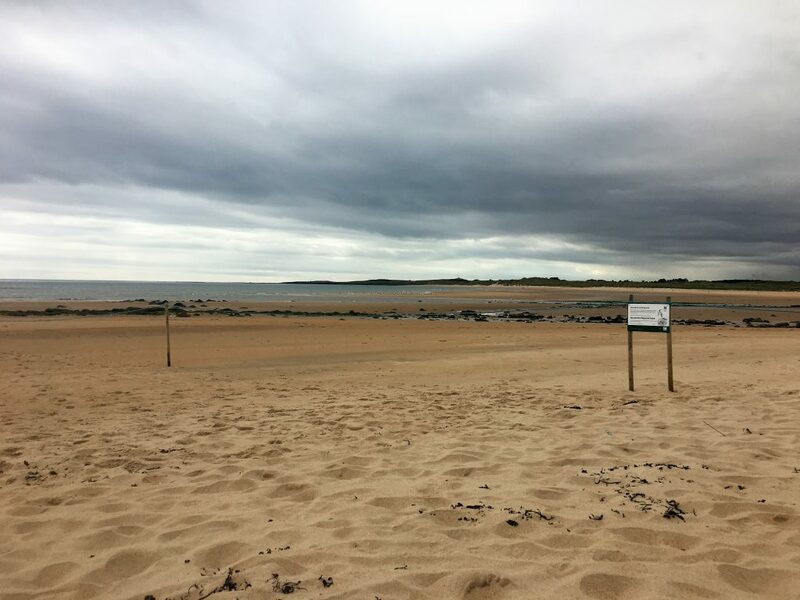 The beach is closed off and a community of volunteers and naturalists live on-site during the breeding season. Sadly this year hasn’t been a good one for the Little Terns whose nests were almost wiped out by a storm earlier in the year. 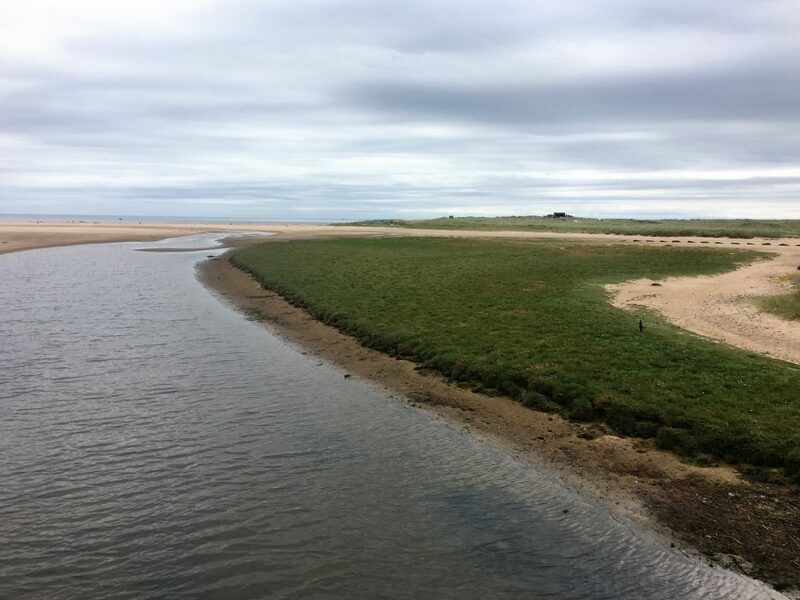 We spent a little while talking to one of the rangers who explained how they raise the nests off the ground to try and protect them from high tides and storms. While the parents are away, each nest is painstakingly removed from the ground, boxes full of sand and shingle are then placed over the nest site and the nest is reconstructed on top. By the time the parent birds return it all looks the same as when they left – just a foot higher. All the time we are talking the more successful arctic terns are noisily wheeling around overhead, readying themselves for their migration. 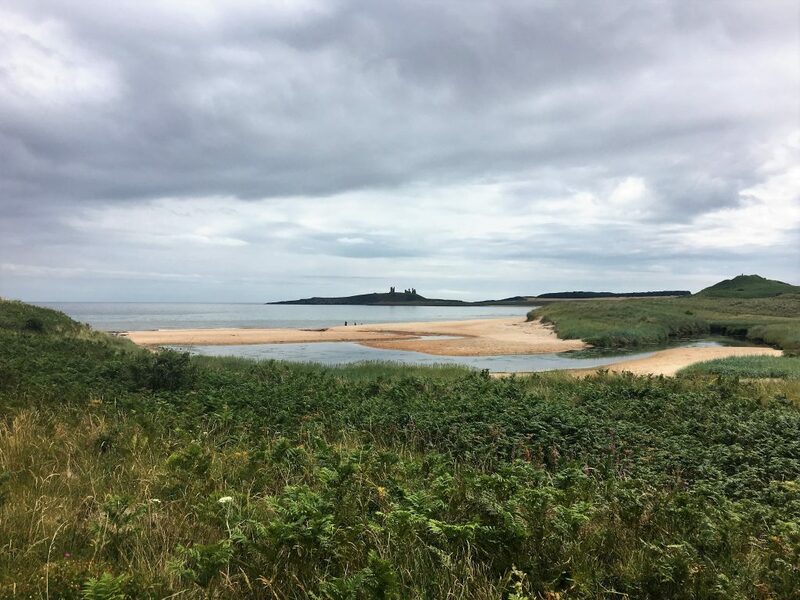 Dunstanburgh Castle sits on an outcrop of rock looking out over the surrounding farmland and sea. It’s one of those evocative ruined castles, sufficiently intact to clamber about in the towers or the remains of the bailey walls. We used our NT membership to visit for free and ate our lunch while watching children running around with wooden swords playing at being knights. You could tell that the school holidays had started. 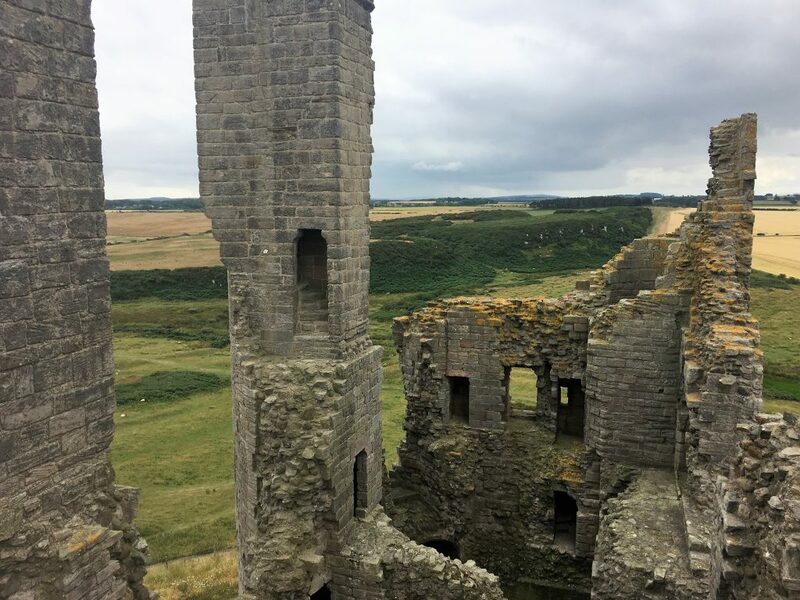 There are plenty of other castles around but we chose to view Bamburgh Castle and Alnwick Castle from the outside rather than pay the entry fees. I’m sure we’ll be up this way again. Craster was the furthest south that we managed to walk in one hit, famous for it’s kippers, the smell of smoke and fish wafts through the village. It’s much nicer than it sounds. 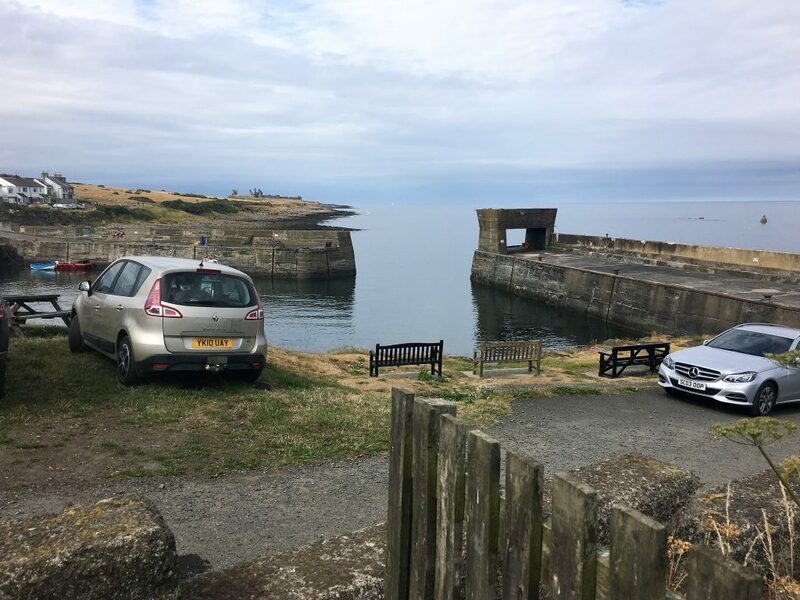 We visit a number of other pretty villages on our explorations, Embleton Newton-by-the-Sea, Seahouses, Beadnell and Bamburgh are all attractive places, but Craster is our favourite and we can sit and watch the harbour for hours. 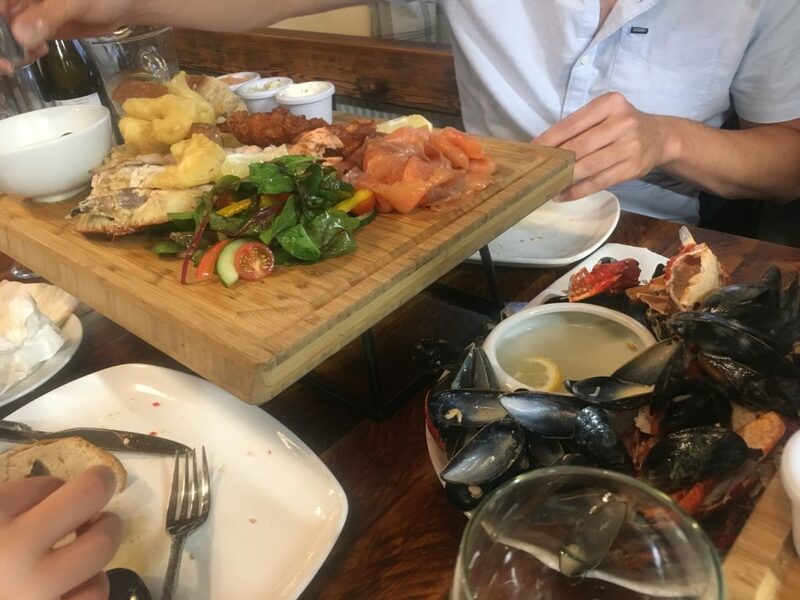 We ended the week being treated to a slap up meal by Aaron and Katie, we indulge our love of seafood with a couple of massive seafood platters at The Old Boathouse in Amble. 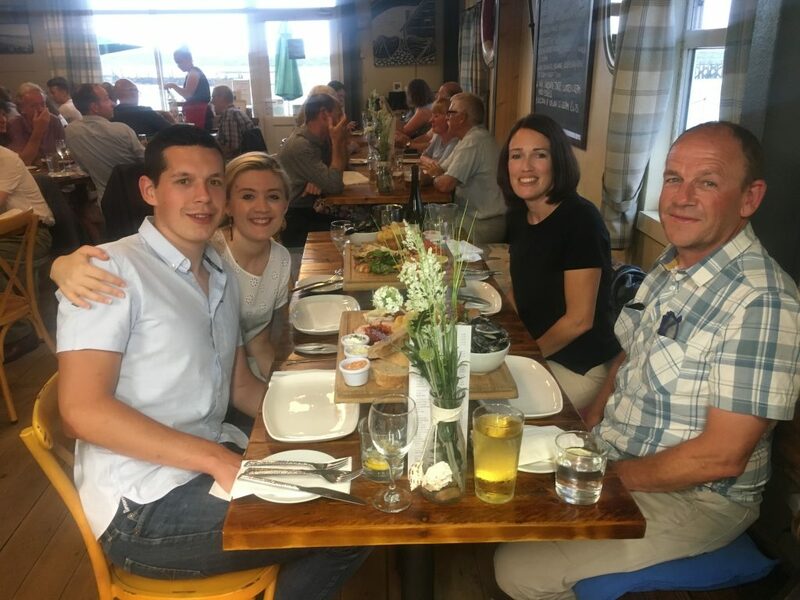 It’s a wonderful meal and food wins this contest – we have to take home the smoked salmon for lunch the next day.